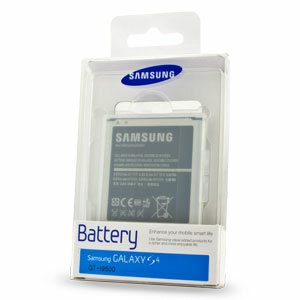 This official Samsung replacement battery for your Samsung Galaxy S4 ensures that you have plenty of reliable power. Also features built-in NFC. I bought this for a my spare Galaxy S4 whose battery was a few years old and no longer holding a charge for more than a few hours. Delivery was very quick and I received timely notifications of the delivery date & time This has give my phone a new lease of life thank you! Having read a number of reviews about the quality of this battery from mobilefun I felt assured that I was buying a proper quality battery. My previous eBay purchase left me annoyed as the charge lasted less than 5 hours. MobileFun''s battery was the polar opposite. Charge lasts 2 days even with moderate use. Very pleased I bought it. The only downside for me personally, was that I live 2 minutes from their Birmingham location but they don't have the option for you to collect it. Despite that, I ordered late afternoon one day and paid £7 for postage and it arrived the next morning, so I didn't have to wait long at all. Being pleased with the quality of the product I'm likely to consider them for future tech purchases. These are the best of the S4 batteries that are around. The internet is flooded with cheap fake Samsung batteries that could damage your phone and possibly even cause injury to yourself and your family. Don't take the risk and instead trust Mobile Fun to provide only genuine Samsung batteries, that have been manufactured to Samsung's recognised quality assurance for the best compatibility and most important of all - the best safety standards. Provide yourself with double the amount of talktime and media playback by taking with you a spare battery. Relax and enjoy the fact you can simply change the battery when your existing one runs out of power - ensuring you can make that important phone call, use your battery draining navigation app, play graphically intensive games or watch an entire feature length movie without running out of charge. If your current battery is starting to lose its charge far quicker than ever before or is failing to charge at all, this official battery replacement from Samsung will ensure your phone returns to its former charging glory. The Samsung EB-B600BEBECWW is the same battery that is included with your Galaxy S4, so it features an identical capacity. Whether you're looking to replace an old battery or simply desire a spare, you can be confident of receiving the same battery life out of your phone as you originally experienced. 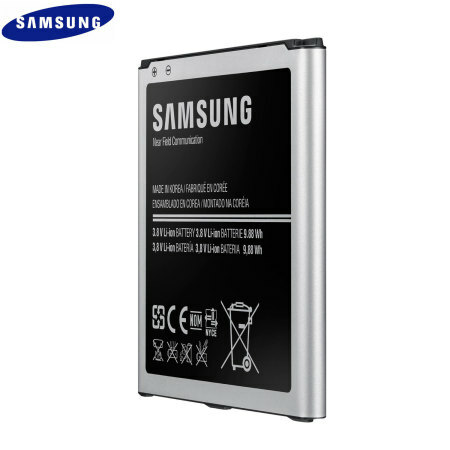 This official Samsung battery features a built-in NFC chip (Near-Field Communication) - allowing your Samsung Galaxy S4 to use NFC technology to immediately launch apps, instantly connect to Bluetooth devices, send text messages and change phone settings as well as many other benefits.